Are you tired of chilly floors in the winter? Is your basement too cold or too moist at certain times of the year? Are you spending too much to heat your home in the winter? 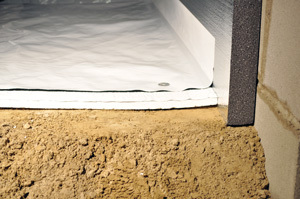 Do you have a crawl space that’s damp, dirty and moldy? Installing the right kind of insulation can solve these problems. Here at Systèmes Sous-sol Québec, we offer a variety of options for insulating your foundation. All of the insulation products we install are designed to withstand water and moisture and provide you with greater comfort from the ground up. 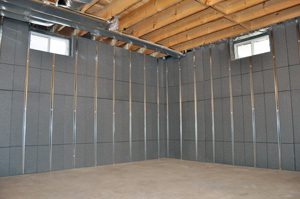 For basement insulation that makes your basement more comfortable and your entire home more energy efficient, you can’t beat the performance and value of our Basement to Beautiful® wall panels. We can help you start from the ground up to improve your home. By creating a dry, comfortable space below your home, you can improve the condition of your living space above. 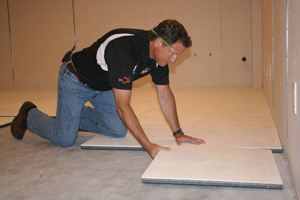 We provide waterproofing and insulation services to customers in Quebec City, Montreal, Laval and many areas of Quebec.